This week I had the wonderful opportunity to test-drive a variety of cars, most of them very new. Monticello Motor Club was open for myself and other journalists to take these cars on the track and really test their limits, while others could be taken to the road and explored in a more normal environment. Here are my quick thoughts on a few cars; in the future you’ll be seeing full reviews on a few of these. 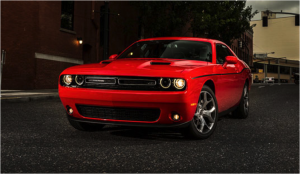 Once you sit in the Challenger, you are immediately reminded that you’re in a muscle car: the big dials, bolstered seats, and a few other stylings that made it through from the 60’s. 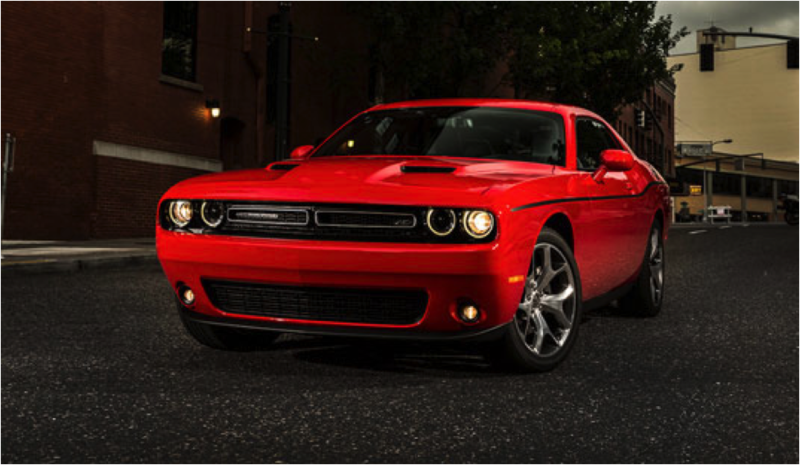 The Challenger had brand new technology, which breaks up the interior a bit. The award winning UConnect system was sitting comfortably in the center console and the shifter was replaced with a new electronic shifter (similar to BMW’s iDrive system) that I honestly do not like at all. The exterior hasn’t changed much over the past few years besides a few false vents being added and some plastic styling on the bumpers. I took the Challenger on the track, but I felt that I should have taken it on the road, as it is much more tame than its R/T and SRT brothers. On the track the Challenger felt very large, like it had a lot to move around, but seeing as it wasn’t equipped with high performance equipment, I can let it pass. In a straight line it took a second to downshift but once it did, it showed its power and roared! Overall a fun drive, but not a weekend track car. I was pleasantly surprised by the F-Type. I already knew the car was beautiful but seeing it in person is another story; I almost didn’t want to move the car so I could get more acquainted with it. This was one of the cars I took on the road, and it was far more comfortable than I expected – the seats can be adjusted just so, and you can find your most comfortable position. I opted to bring in the bolsters to feel more like a racing bucket seat, even though I was sitting in a finely crafted leather interior. I drove with the top down and played with all the controls while I could. The infotainment system didn’t have most of its feature available to me, so I won’t be mentioning it. It was not the most ergonomic one I’ve seen, as the controls you most often use are on the far side of the screen, making it slightly uncomfortable. However, the driving controls were well within reach around the electronic shifter (which seem to be coming more popular) and self explanatory, unlike some high-end sport cars. The most fun switch was the drive mode, which can change the driving style to Rain, Normal, and Race. I decided to pop it into race mode and open it up, and I gave out an orgasmic rumble as it shifted, and a scream as it reached red line. 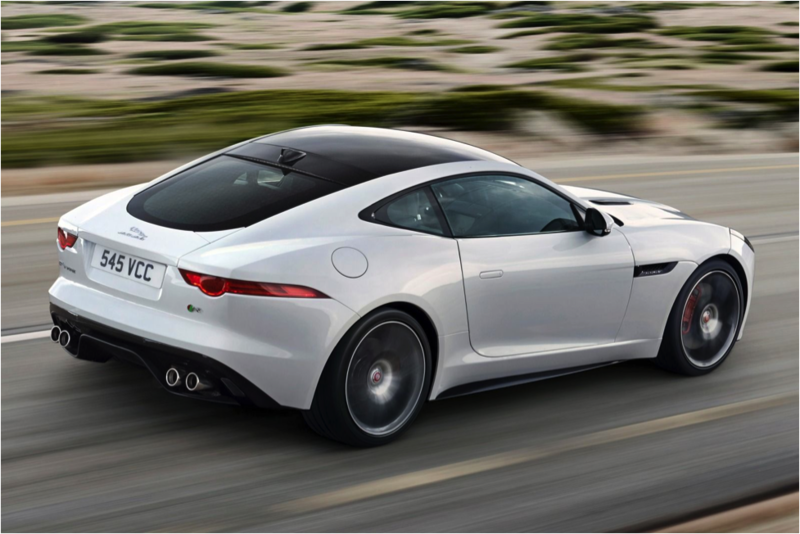 I will say I thoroughly enjoyed the F-Type, and I can’t wait for an opportunity to take it on the track. The style hasn’t changed since the second generation launch in 2011, so I’m excited to see what it will look like after they update it with the new CTS model, which is really beautiful. The CTS V is large, larger than you might think, but sitting inside you feel enveloped in suede and the cabin is focused on you to the point where you don’t really think about its size. Luckily this was a manual, so I could really have some fun with it. As I got into the car to take it on the track, a man walked up asking if he could drive it afterwards, so I offered him a ride, which he accepted. We talked cars as we rolled through the pits and, ready to take off, I asked if he minded that I drove fast. With permission I took off, and man can it go! The CTS V is no slouch in the corners despite its size, and really stuck where I wanted it to, besides the fact that it was easier to drive than I expected and was an absolute blast to take around the course. I was anticipating massive body roll and squealing tires, but I experienced no such thing. I wish I had a chance to take in on the road to see how it handled normal driving, but seeing as it did exactly what I asked for on the track, I’m sure it would be a comfortable drive. One more muscle car for the track, and yet another enthusiastic passenger. Honestly, I was disappointed by this Camaro’s performance; it’s direct competitor, the Ford Mustang Boss 302, was much easier to drive and handled better on the track. 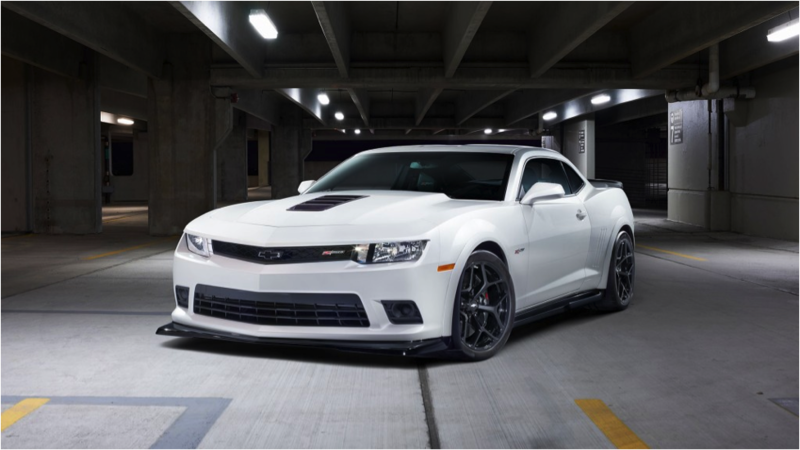 The Z/28 I tested was pretty much stripped except for the sport options. 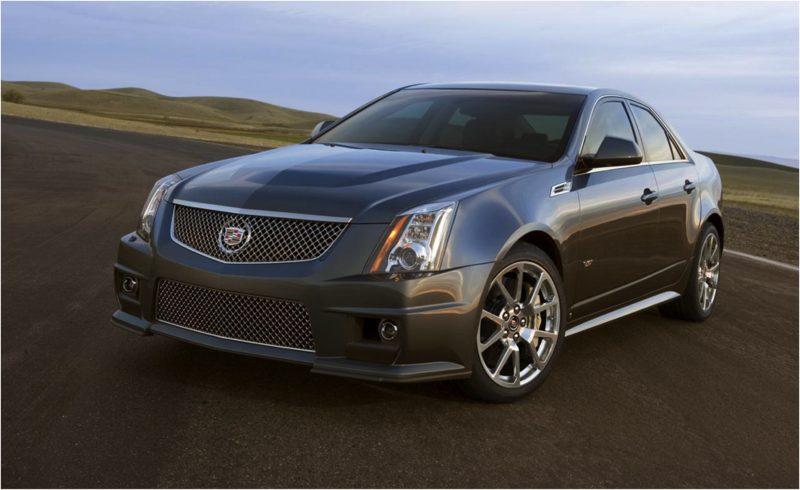 It felt just as big as the CTS V, but didn’t have the same nimble attitude, and the interior had massive empty spaces. I hate to say that I didn’t enjoy it because I really wanted to. On the track it performed well in a straight line, but it couldn’t handle the corners without squealing tires and that sense of dread as you start to lose grip. On a positive note, it is fast, shifts easily, and retains its classic look. I’ve driven the ST before and had a bunch of fun; it is likely one of the best small hot hatches you can get your hands on. 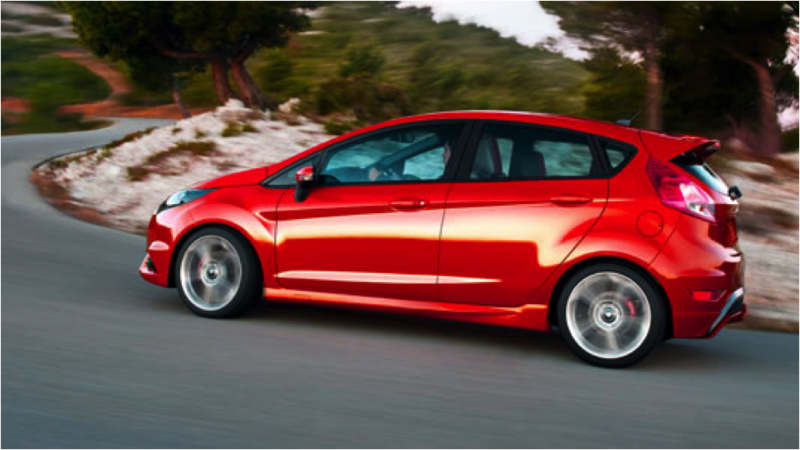 Ford has had success with the Fiesta and this is no exception to the rule. It was outfitted well, and comfortable to drive with a fun factor you can only get from a car you could fit in your pocket. When on the track it performed as most hot hatches: good acceleration and fantastic handling. The only thing I found difficult was turning under heavy breaking; the Fiesta has a smaller wheelbase in comparison to most other cars in the segment like the Mini Cooper S and the VW GTI. So although it has enough get-up-and-go to have fun on the streets, if you want a car that can compete or be a little more aggressive, I’d go for the Focus ST, its bigger cousin. 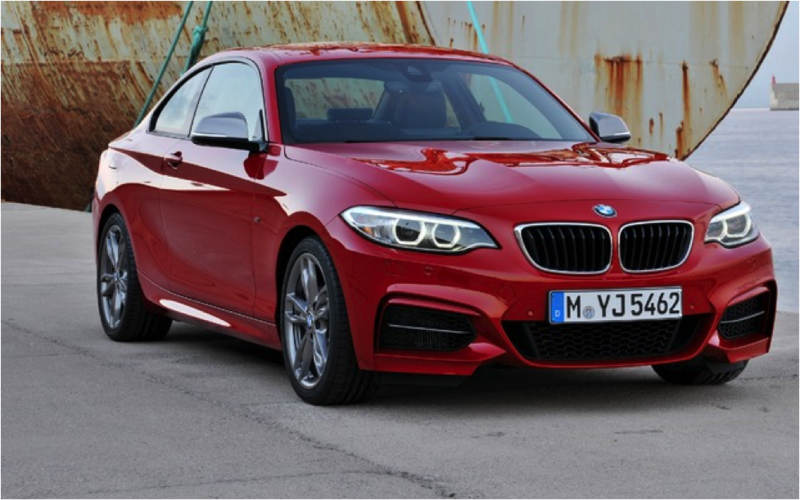 This is BMW’s brand-new four door compact sedan, replacing the 1 series coupe that came to America in 2007. The styling of the 2 series is a throwback to the 2002 turbo from the 60’s and 70’s. It turns out many millennials were buying these classics instead of BMW’s new vehicles, so the 2 series was born to entice them. I actually think it looks great; super edgy and small, perfect for attracting 20-somethings. Once inside, I got the impression I was in one of the higher-end cars in the model range, like a 3 or 5 series: it had all the amenities you would expect, like BMW Connect, iDrive, the sporty seats, and steering wheel. Once I got on the track I thought I was in a M235i, which is the model between the base and the yet-to-be-announced M2. It drove much like the 1 Series M, or even a hot hatch; whipping around corners without issue, and immediate power with its 240 bhp, 4 cylinder, 2.0 L turbocharged engine. I was pleasantly surprised and it made me want the 2 series even more, (I was actually thinking about getting one as my next car) so when I got out of the car I was stunned to find out it wasn’t the M235i.